Re: What game are you developing on the side? I'm taking a small break from 3D. I was talking with some friends about that article. They said, "could you do that?". So now, I'm doing it. I'm at hour 7 now. Got the core "engine" running. States, some factorys, input, some sound, ect. Now mostly it's about actually finishing the game, creating some decent graphics, enemies, ect. I have never done a side scroller before. I'm using python with pygame (can't get Opengl 3.3 to work on debian (my main os), waiting for mesa 10.0, otherwise I would just use that). 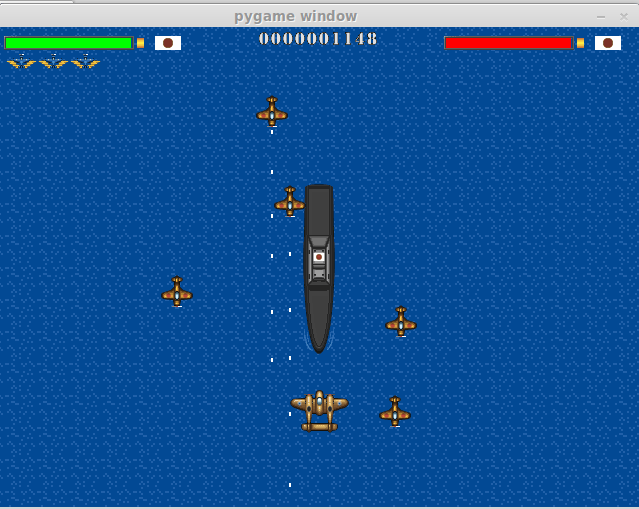 I've done some python, but no pygame. So now I am gathering information. I think the first thing I am going to do is just An Attack game, 1 PC Controlled Model vs a CPU Controlled Model. Nothing Fancy, doesn't even have to be in 3d. I leaning towards VB right now (thought as I mess with Unity today, I might have an engine in mind when I expand it) and no real great graphics, just a project I can say I created it and I have started. Eventually I want to build a 3rd RPG Shooter, but right now it is baby step time. So I started on a simple program today. Currently it has the ability to draw 2 circles and fill in information in 2 labels. I am working on the progress bar and statistics for attack and defense. Maybe I will through in some back single graphics for attacks, but the whole point it is a starting point. Ok I scratched everything down to the extreme basics, and got my first game created. Now to get the bugs out to see how it plays. 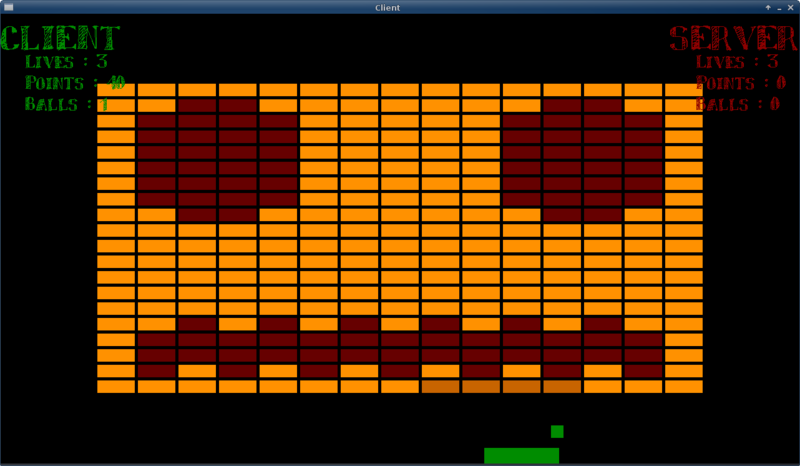 Then I can figure out how to add sprites and draw sprites. Right now is 50% Working model of a text based, watered down, very basic version of my game. But it works with bugs. Can just anyone post here? I recently started making a top-down shooter with the graphics taken from here. They are free to use. I plan to add all kinds of whizbang features but I want to take it slow. This is really hard to do. Are you still developing the engine? I wonder why i was sent to inactive thread. People can respond if they want. It's a pinned thread, and people can see that you responded. If nobody has anything to say, people just don't respond. On a serious note- are you looking for a pat on the back because you want to make a game engine? It seems like that's what the bulk of your threads are about. Rather than complaining and talking about what you want to do, go out and actually try to learn some programming. It's not a traditional tower defense. The map is open, you are allowed to place towers anywhere on the map. Enemies find their own pathfinding and might destroy your towers. Now we are still develloping some mechanics and then we can really do the designing. We got our own little website set up, but it's not finished at all (work in progress). Currently working on a DX Ball clone. I'm quite pleased with how most of the elements of the game works. The game is cross-platform ( Linux/Windows/Mac ) and the only dependency is SDL2. Most elements are in place, including particle effects, multiplayer support and a working menu system for setting configuration. It still needs lots of testing and improvements. Particularly the options system, I'm far from pleased about how it looks. I also need to improve the multiplayer system. You can check it out on my GitHub. I've recently been promoted to forum leader for Game Development, and I've been trying to think of a way to get game developers, of any level interested not just come here for help and answers. So without further a due, I wan't too know what you're developing in the way of a game. You can post descriptions of your game, screenshots, videos, really whatever you want related to that project. I don't currently have any screenshots available, but I will upload some tomorrow. So far, I estimate a year for completion on the above todo list. Then I will debug what I have(Because I have some bugs already). So that's what I am working on as of this moment />/>/> What are you working on as a side game project? Currently developing a game similar to ZOIDS MMORPG, with the player controlling a powerful zoid. I mostly use Boo, a variant relative of Python, in Unity3d and I can say the scripting experience with it is better than with C#. />/> Overall, experience also taught me that loosely coupled systems really save time in scaling big. I rewrote the game twice. First time was due to inexperience (I actually used some kind of twisted idea, to rotate the camera, too bad the code was deleted), Second time was due to the inability of the game to scale up, and generally because six months of tough coding in Python (I created a roster planner and analyzer for my company, damn Oracle) somehow just teaches you a thing or two about functional and OO programming practices. It is hard to tell what is going on in those pictures.. when you say 'zoid' do you mean "I call the Green Ranger! "-zoid, or something else? Lol you can google it. Zoids are robots that look like wild animals that have some sentience. Each zoid has a pilot, which is the player. The first pic is the zoid in weapon mode, showing crosshairs and targetting systems, the second is the zoid running while the third is the zoid shooting a missile.